Everything looked pretty good. 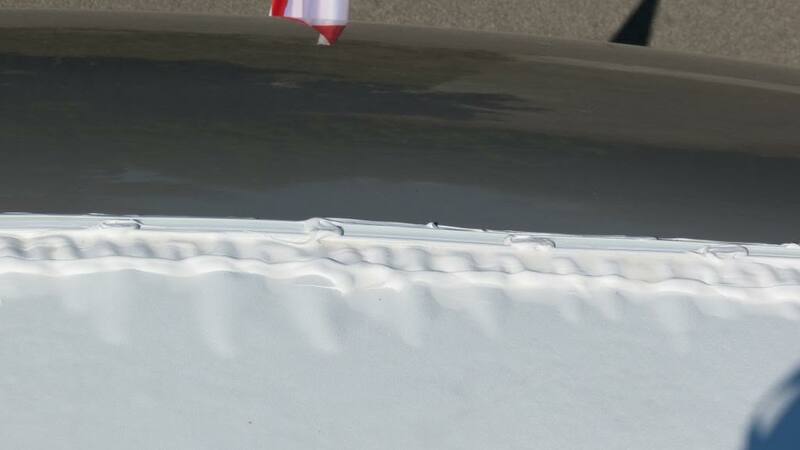 There was some rippling at the front cap and the roof of the cougar 333mks that has me wondering if that is normal. I asked my dealer and he said it is normal. Anyone else thinks this looks strange ? Don't know what it is, but it is NOT normal (unless Keystone has hit a new low!). 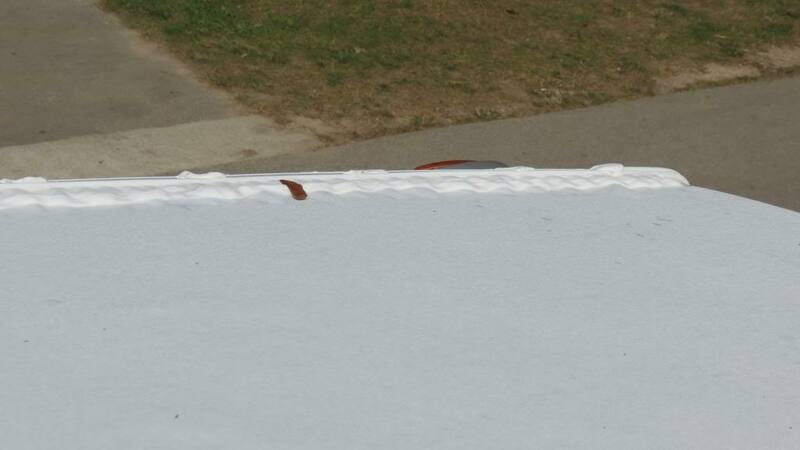 We have owned three Keystone's and sure don't remember a roof looking like this. I would have another dealer or independent take a look. Weeeeeeeeeeeeeellll, I also have a 333MKS and my roof does not look like that. Not sure why they said it is normal. A couple spots here and there? maybe. Not that though. Have someone else look at it. It might be prudent for you to send these photos and any others that you might have to both your dealer and to Keystone. Keep a record of all correspondence, emails, etc. and telephone calls you make to both the dealer and to Keystone. 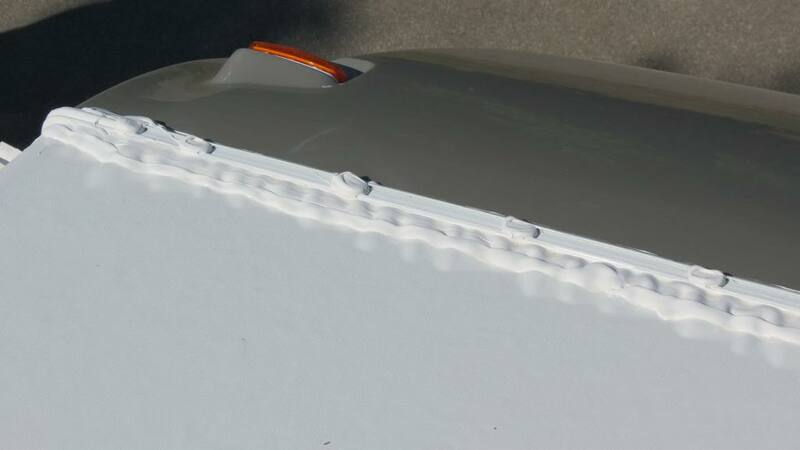 If you take your RV to other dealers or RV repair facilities and ask to have them inspect the roof, be sure to keep a record of their findings. I wouldn't be put off by someone telling you that it is "normal" and not to worry. Sometimes, a "couple of spots" have a habit of growing into a few larger ones and then before long there is one great big billowing spot. Different construction in the nose cap of my Springdale. However, rippling noted in first month, sent pictures to the dealer, he forwarded them on to Keystone, warranty approved, nose cap replaced. That was almost a year ago, replacement is smooth along all the seams 11 months later. For yours, if you've not already done this for documentation, take photographs as a pathologist would. Lay down 2 rulers, one to note distance from edge of trailer, the other to show how far back the bubble is now. Doing it in this fashion, you can take another photograph in a month to confirm whether the bubbles are getting larger, indication a progression of the separation. If it is progressing, you have reproducible evidence, hard for dealer or Keystone to deny. Best of luck. Document. Document. Document. We have been told again by the dealer that it is normal and have started the contact with Keystone. Also will be taking pictures this weekend with a few measuring devices to document progression as suggested above.